It is official. I am addicted to reading psychological thrillers. It's like I am crackish and keep looking for that next hit to give me the feeling of my first high (Gone Girl). Some have come close, others not so much. Heidi Wood is a charitable woman. She works at a nonprofit and makes a habit of taking in stray cats. But her husband and daughter are taken aback when Heidi comes home with a teenage girl named Willow and her four-month-old baby. Never mind this seemingly homeless girl may be a criminal. Heidi makes it her new charitable mission to help Willow get back on her feet. Hence begins the twisted story of an act of kindness gone wrong. Book covers are important. Some authors and publishers take pride in choosing a cover that best fits the content. Others not so much. I do not like the cover of Pretty Baby. It would not grab my attention on a bookstore shelf. It will not jump out and scream "Download me now!" while I am browsing the NOOK store. And seriously, how hard could it have been to find a pretty baby for the cover? Because the girl featured is not it. Just saying. Every now and then, I run into a book that is full of hype and 5-star ratings. So naturally my expectations are high. Then I start reading and wonder if my copy is missing pages upon pages upon pages because clearly I am not reading the same story that many claim is a good read. 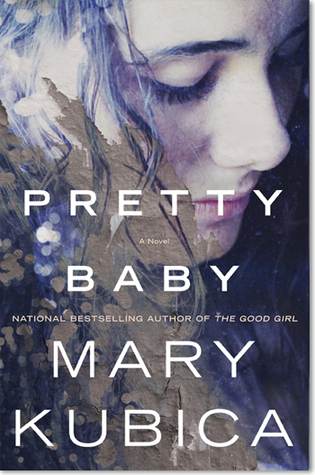 Unfortunately, Pretty Baby is such a novel.